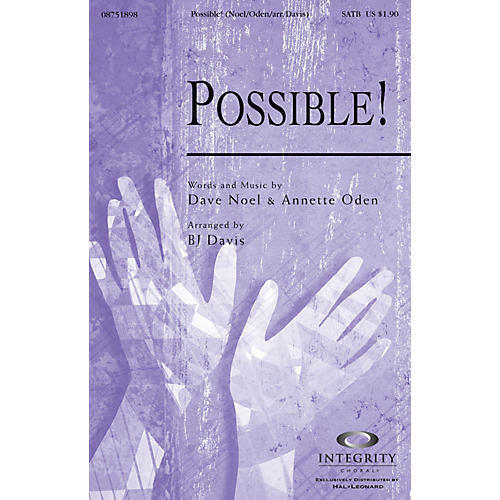 This up-tempo song by Annette Oden and Dave Noel talks about how anything is possible with Jesus in control. Creatively arranged by BJ Davis. Available separately: SATB, CD Accompaniment Trax, Orchestration. Duration: ca. 3:15.